This product was renamed from ESP-WROOM-02 Development Board - Uno Pinout to ESPr One as of June 9th 2016. ESP-WROOM-02 WiFi module is loaded on Arduino compatible board. There are redundant pins on this board, because GPIO pins of ESP-WROOM-02 are lesser than Arduino. Only one A0 analog input pin. 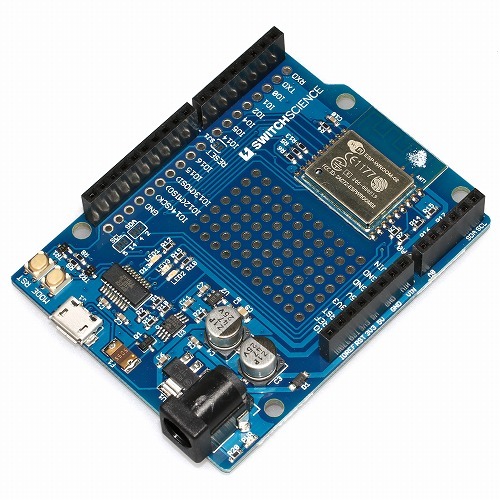 Although it is compatible to Arduino please be aware that it might not operate properly depending on choice of shield. 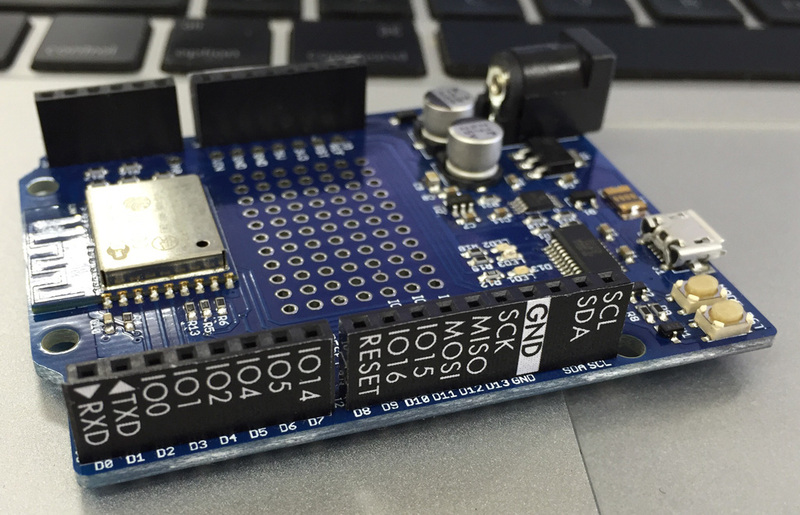 Please refer to How to develop with Arduino IDE for more details. Operating voltage of input/output pin is 3.3 V.
LED1: Usage is same as Arduino D13. #14 Digital pin is assigned. SJ1: Use D8 pin for reset. Buttons: Switch to manual for program reading.No need to use buttons when reading from Arduino IDE.For details. Some of D3 pins with IO1 are unconnected to be exact. IO0,IO2,IO15 are used as setup pins for ESP-WROOM-02 so they are set on pull up, pull down mode. We recommend other pins for general in/output. Print Pin Guide and apply it shown below.